Did you know that if either one of your parents or one of your siblings developed high blood pressure before the age of 60, you have twice the risk of getting it yourself? But a new study shows what may be a very simple way to prevent high blood pressure - even in high-risk people. It has to do with something called prehypertension. 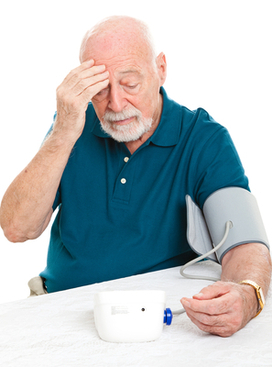 High blood pressure is defined as a blood pressure over 140/90 mmHg. Prehypertension is the level just below high blood pressure. It is defined as a systolic blood pressure between 120-139 mmHg and a diastolic pressure between 80-89 mmHg. If your blood pressure is in this range, you don't have high blood pressure. But the statistics show that you are much more likely to get it. In this new study, researchers looked at 40 men and women in their mid-50s. Half of them had prehypertension and half had normal blood pressure. The researchers wanted to find out if there was a difference between the two groups when it came to nitric oxide production. If you don't already know about nitric oxide and how it affects blood pressure and circulation you should. Basically nitric oxide is a natural substance that our bodies make. 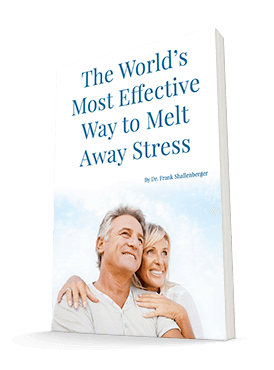 Among other things, nitric oxide acts to reduce blood pressure and improve circulation. A good way to remember that is by remembering that patients with heart disease can take nitroglycerin tablets to improve their circulation and relieve their angina. Nitroglycerin works by increasing nitric oxide levels. The researchers used a test that involved the infusion of acetyl-choline into the arteries of the subjects. Acetyl-choline acts to release nitric oxide and lower blood pressure. When they did the test to the prehypertensive group, they found that they released 30% less nitric oxide than the normal blood pressure group. These results show that the likely reason that certain people have prehypertension and others don't is because they can't make nitric oxide as efficiently. And why is that important for people at a high risk for high blood pressure? If you have a higher risk, it is probably because you are genetically less able to make and release nitric oxide as well as the folks who don't have blood pressure problems. This ability to make and release nitric oxide may very well determine who gets high blood pressure and who doesn't. And if that's the case, I have really good news for you. There are several very effective ways to optimize your nitric oxide production. The most effective is intense, vigorous exercise like I talk about all the time. Another way is to take large doses (in the order of 4-8 grams per day) of the amino acid arginine. Arginine converts to the major enzyme that produces nitric oxide. And one of the newest and most promising ways is to take a supplement that I reported on a couple of years ago. It's called CircO2. CircO2 (it used to be called Neo40) contains two of the most powerful natural substances known to boost nitric oxide levels - beet root and hawthorn berry. But CircO2 increases nitric oxide production in a different way than arginine. So it can be effective even when arginine isn't. The problem with arginine is that in the people who really need the nitric oxide boost the most, the over-50 group, arginine is the least effective. That makes CircO2 a better bet. The other thing about CircO2 is that the producers have also developed a test strip to evaluate the effectiveness of the supplement. So here's the bottom line. If you have a family history of high blood pressure or if you have prehypertension, you don't have to get it yourself. You can very likely prevent it simply by combining CircO2 with a good exercise program. Here's how to use the test strips to determine how much you should take. When you receive the CircO2, use one test strip to see how deficient you are. If you are deficient, start taking one lozenge twice a day (that's what the study says you'll need to fix the deficiency). Continue taking this dose until the strips turn dark pink. Then you know you're no longer deficient. At that point, you can reduce the dose to one lozenge per day to maintain health levels. It might take up to three months or so to reverse the deficiency, so be patient. And don't forget to include the vigorous aerobic exercise for 30 minutes, four times a week. Weil BR, Stauffer BL, Greiner JJ, DeSouza CA. Prehypertension is associated with impaired nitric oxide-mediated endothelium-dependent vasodilation in sedentary adults. Am J Hypertens. 2011 Sep;24(9):976-81.